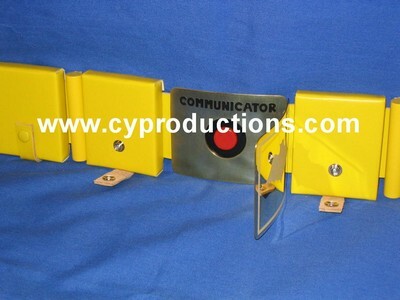 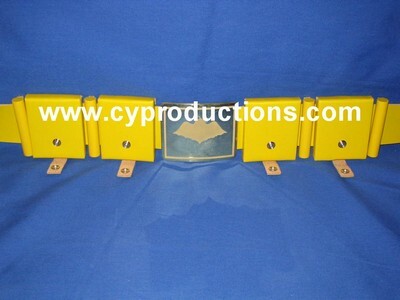 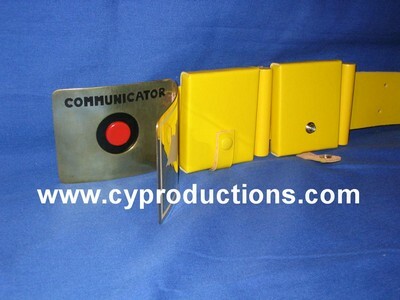 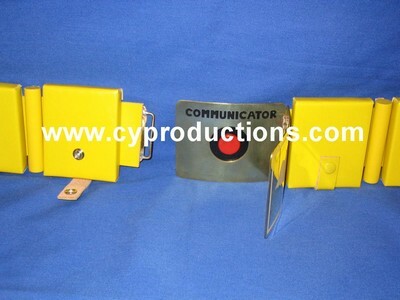 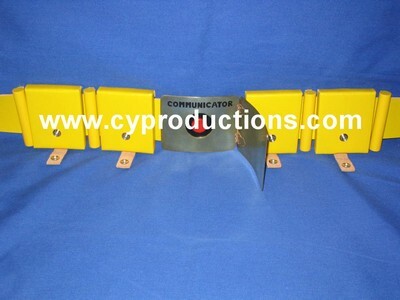 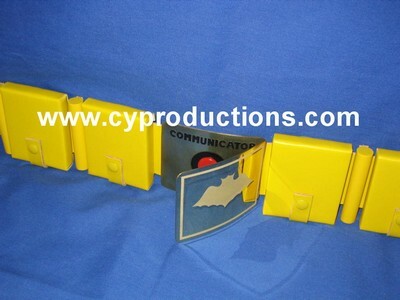 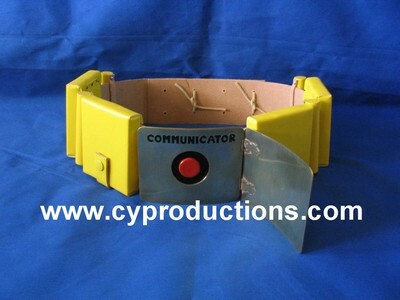 The Communicator Utility Belt was seen in the Catwoman episode, "A Purr-fect Crime, Better Luck Next Time" and features a buckle that opens to reveal the communicator dial on the inside. 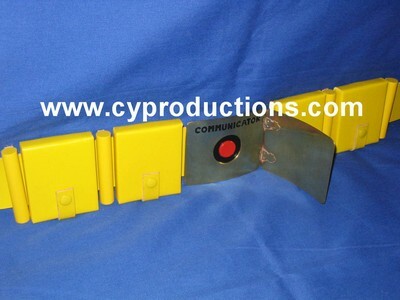 The red dial rotates to the left and right just like it did on the show and this beautiful belt comes in two different styles. 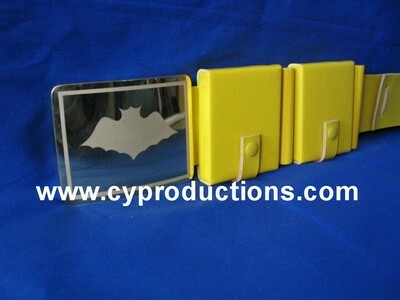 The standard version comes with solid pouches (just like the original belt seen on the show) and the deluxe version comes with hollow aluminum pouches that open up so you can put stuff inside like money, credit cards, drivers license, keys, or your favorite bat-gadgets!